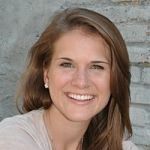 As Senior Manager for Generations United, Emily Patrick manages a range of projects that strengthen the connections between generations, such as tool development, publications, and recognition programs. Inspired by her work with Neighbors Growing Together, a shared-site intergenerational program at Virginia Tech, Emily developed a strong passion for supporting meaningful engagement every stage of life. Her professional experience includes work with THE GREEN HOUSE® Project, a national effort to transform the culture of long-term care, and RSVP-Northern Virginia, a regional initiative to match the skills and experience of volunteers ages 55+ with critical community needs. Emily received her B.S. in Human Development and Graduate Certificate in Gerontology from Virginia Tech.